We’re very proud of our excellent team of dedicated professionals who work for Faust. They bring a wealth of experience to each workshop benefiting all involved. Jenny has always been passionate about theatre and performing arts. She has taken acting classes at HKAPA, and whilst at Stockholm University she studied communication in English and English literature. Upon graduation, she continues to receive acting training from experienced directors and actors. Jenny has been in a number of stage productions, school shows and TV commercials. She has also done voice-over work for Hayao Miyazaki’s movies and worked as a performer at Hong Kong Disneyland. Jenny is currently working with Theatre groups specializing in marketing, outreach and theatre education. She is also a freelance actress. Kashish is a dance and drama enthusiast. She was born and raised in Mumbai, India, where she completed her degree in Bachelors of Commerce. She always participated in various dances and college theatre dramas, during her college years in India and won many inter college competitions. She has also taught dance to young children, in both western and Bollywood style of dancing. Kashish got married and came to Hong Kong 12 years ago. She is a very fun loving, sincere and an honest person who loves working with children and is looking forward to a great year with Faust again! Olga Chung has been wandering between theatres since she was young. Born and raised in Hong Kong, she has performed in various drama and musical productions. She has been working as performer in Ocean Park Hong Kong and Hong Kong Disneyland. Not constraining herself only in the theatres, Olga is also a singer/songwriter and teaching is one of her favourite things to do besides acting and singing. She enjoys engaging students into the theatre productions and is looking forward to meeting the students at Faust! 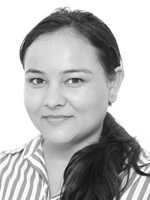 Parveen is an enthusiastic individual who joined the Faust Team two years ago. 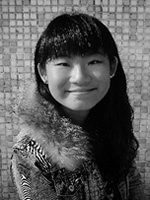 She is currently pursuing her higher education at Lingnan University, studying Bachelors of Arts in Contemporary English Studies. For the past few months, she has been employed as a NET teacher, teaching both phonics and playgroups. She has also volunteers as an assistant to help guide teens to complete their project for a Campaign. Her experience in teaching and her passion towards the field of drama, dance and visual arts has helped her fit right in at Faust. 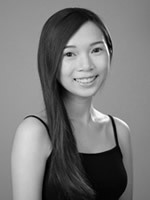 She hopes to share her expertise to the best of her abilities and looks forward to teaching the young members at Faust! 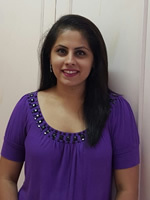 Kanchan is an enthusiastic teacher who has worked with children ranging from 4- 10years old. She is very passionate about working with young performers . 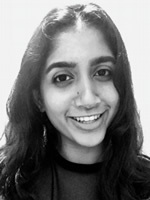 She finished her Bachelor of Education in India and moved to Hong Kong last year. She has had a keen interest in theatre ever since school and has performed in a variety of different shows and particularly enjoys work exploring social issues as well as comedies. She is very excited to be joining the Faust team this term and looks forward to encouraging the young people through positivity and healthy learning to be the best performers they can be. John is a student at YMCA of Hong Kong Christian College, and is currently studying his AS Level GCSE. 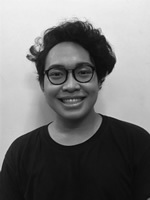 John was raised in Hong Kong and has been passionate about the performing arts ever since he was young and is excited to spread that same passion to the children at Faust. John started working at Faust last year, and is excited to see what the future brings! 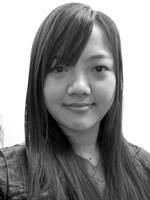 Arlin is currently studying Linguistics and English Education in HKU. Born and raised partly in Hong Kong and Nepal, she can speak 5 languages. She has participated in drama productions all through her secondary school life, either in directing or working for the set and props team. She has also taught and performed dances in voluntary performances and during cultural festivals. She enjoys teaching children and working with the creative process they bring to the activities.This is her fourth year with Faust and she looks forward to another exciting year with them. Alex is an ex West Island School student who was born and raised in Hong Kong. During his time at WIS he was always heavily involved in the Performing Arts taking lead roles in school plays as well as studying Drama for GCSE's and AS levels. He has performed in acts such as Grease, Macbeth & Return to the Forbidden Planet. 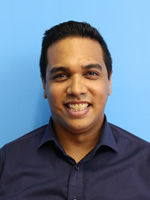 Nikhil is a theatre lover with experience onstage in Hong Kong with companies Shakespeare in the Port and Aurora Theatre as well as the Philadelphia-based troupe The Drexel Players. He was born in Bangalore, works in Hong Kong as a tutor, and is currently pursuing a BFA in Painting at Savannah College of Art and Design. 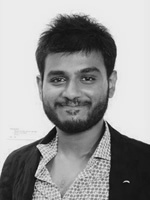 Nikhil has worked with Faust International Youth Theatre in the past as assistant leader and production assistant during the 2014 Faust Festival, 2014 Summer Program and 2014-2015 season. He looks forward to working with students in the upcoming terms to help them discover their innate creativity.